It's a busy time. This weekend sees the Hay Festival in Kells, the Swift Satire Festival takes place next weekend in Trim and early next week there is an archaeology conference in Trim. Power, Prayer and Public Archaeology, a conference in celebration of 750 years since the foundation of the Black Friary, Trim will be held on 2nd-3rd July 2013 in the Knightsbrook Hotel Spa & Golf Resort, Dublin Road, Trim. More details and the full programme are available here. The Blackfriary Community Archaeology Project is an initiative of the Irish Archaeology Field School, Cultural Tourism Ireland and Meath Local Authorities working in partnership with the local community and stakeholders. The project aims to carry out a detailed archaeological investigation of the Black Friary; a four acre site including the ruins of the thirteenth century Dominican Friary, once a significant part of the history of the medieval town of Trim. This project is engaging with the local community and stakeholders, to conserve the site and create a space where community and visitors alike can explore heritage and use the site in a sustainable way. I attended the recent open day there and was impressed by the site and the discoveries being made. archaeological project at the Black Friary. 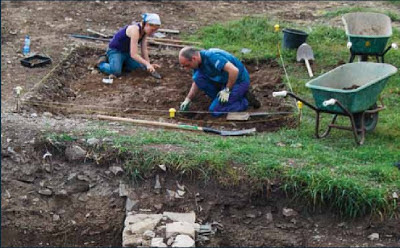 For more information about the Irish Archaeology Field School and the Blackfriary Community Archaeology Project go to the website or the Facebook page. Labels: Blackfriary Community Archaeology Project; Trim; Irish Archaeology Field School; Power, Prayer and Public Archaeology. 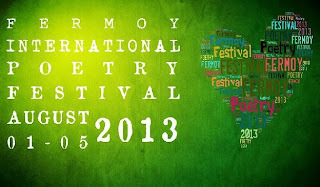 "The overall winner of the Fermoy International Poetry Festival Blue Max Review competition is Michael Farry from County Meath Ireland. Judge Noel King said 'selections were made on the overall skill across the batches of 3 poems rather than individual poems'." I was delighted to get the phone call from Gene Barry and I'm looking forward to attending the Fermoy Poetry Festival at the beginning of August. I've passed through Fermoy many times on my way to Cork (before the bypass) but I don't think I ever stopped there. When I saw my name among those of all those other great poets on the long list earlier this week I was honoured to be in that company and to have been declared the winner is brilliant. 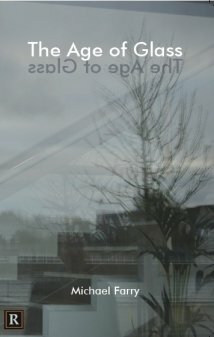 The three poems I entered are recent, all written this year and scrutinised by Boyne Writers Group and LitLab members. Thanks! Thanks especially to the organisers and to the judge. The programme for the Festival looks very interesting with a number of overseas poets attending and reading. I'm looking forward to a good few days in Fermoy. 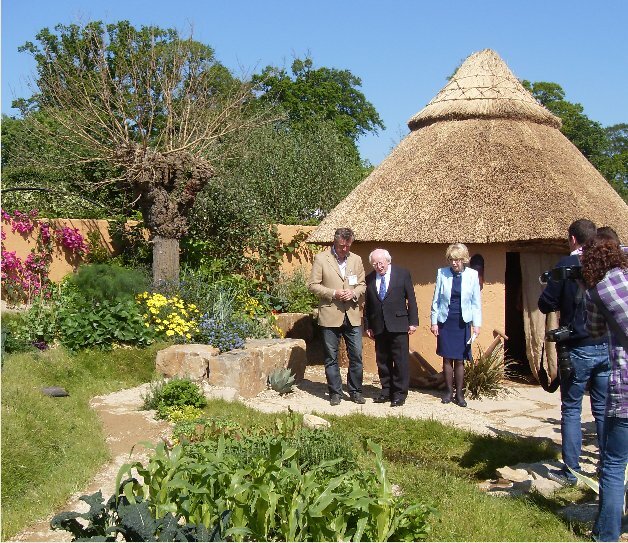 The newest chapter of the Hay Festival takes place in Kells in County Meath next week-end, 28–30 June 2013. The impressive programme includes novelists John Boyne, DBC Pierre, John Banville, Tiffany Murray; poets Owen Sheers, Nerys Williams, Eurig Salisbury; memoirs from Jeanette Winterson; children's writers Jenny Valentine, Sarah Webb; playwright Frank McGuinness; actors Peter Sheridan, Lisa Dwan; a film animating The Secret of Kells; academics Germaine Greer on Shakespeare and Dr Bernard Meehan on the Book of Kells; politician Jesse Norman on Burke; and musician Alex Valentine. The rather pretentious title for the festival is IMAGINE THE WORLD: SAMHLAIGH AN DOMHAN, whatever that is supposed to mean. Why imagine the world? It's all around, just look at it! The full programme is available on the website. Among the many interesting smaller events organised for the week-end is a Victorian Afternoon Tea hosted by the Kells Arts Club with literature, poetry and song. This takes place in the Edmund Rice Centre, Bective Street, Kells from 2pm to 6pm on Friday, Saturday and Sunday. Feel free to drop in and listen and if you have a poem or a song you might even be tempted to recite, read or sing! North West Words group has organised a very interesting Writing Weekend in Letterkenny, Co. Donegal on the weekend July 19-21 2013. Facilitators and Contributors include Celine McGlynn, Ellen Factor, Kathryn Daily, Denise Blake, Malachy Doyle, Declan Meade, Lisa Frank, John Walsh, Gréagóir Ó Dúill and Janice Fitzpatrick Simmons. Course fee: Saturday only: €40. Sunday only: €50. Both days: €80. Course fee includes entry to all readings and open mic events over the weekend. Fee must be paid in full at the time of booking. Places are limited so early booking is advised. Bursaries may be available for those who need financial assistance with the fee. Work must be submitted by email in advance for Sunday’s master classes, further details on booking. Preferences allocated on a first come first served basis. 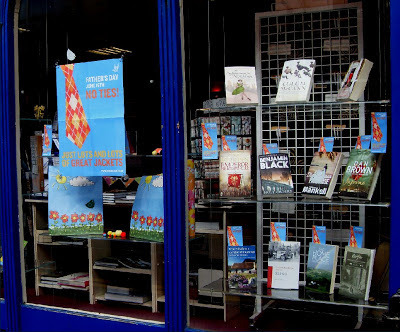 North West Words has been hosting monthly poetry and prose readings in Letterkenny since 2010. They publish a quarterly magazine of writing and arts news which they distribute across Donegal free of charge. They run an annual schools poetry competition and last year they organised their first poetry competition for adults. 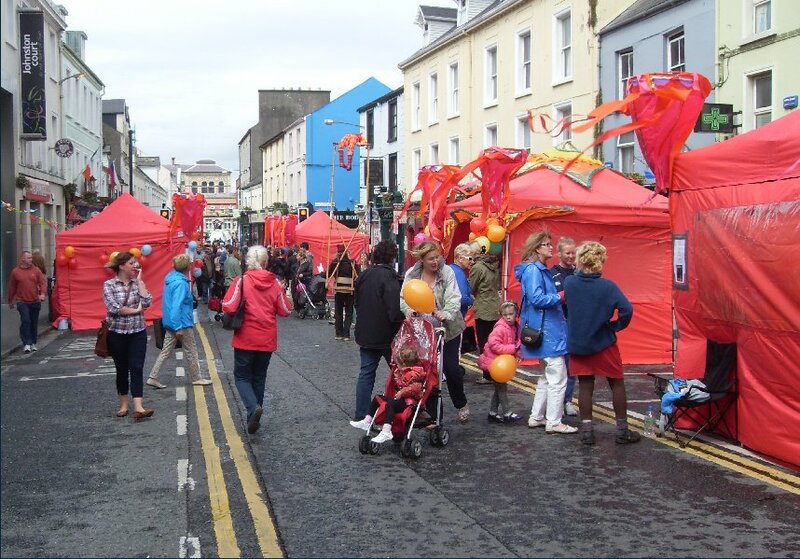 In the summer they present events at festivals in Donegal. 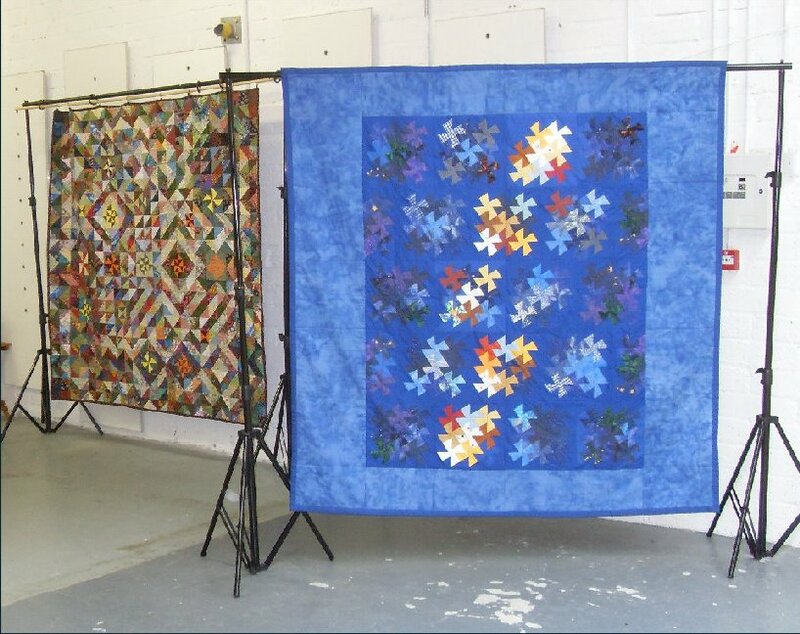 Remarkably, they run on donations, support from the County Arts Office and from Donegal Local Development Company Ltd (DLDC) under the Local and Community Development Programme 2013. 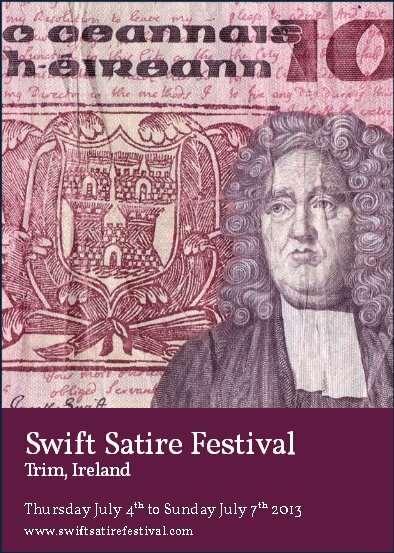 Full details of the Sixth Swift Satire Festival, Trim, Co. Meath, which will be held from 4 July to 7 July 2013, have been posted on the website. This annual event celebrates the life, works and legacy of Jonathan Swift by bringing together distinguished guests from the arts, politics, the media and comedy to celebrate satire. Swift was appointed vicar in Laracor, just out the road from Trim, in 1700. The author of such famous satires as Gulliver’s Travels, A Tale Of A Tub and A Modest Proposal, had many firm friends in the town of Trim itself. The full programme is on the website as is a downloadable brochure. The launch takes place on Thursday 4 July at 8pm in the Trim Castle Hotel. Admission is free, wine and canapés will be served and the launch will be followed by the first event of this year’s festival, the perennial staple of The Battle of the Books, the satire competition between keen rival groups Meath Writers Circle and Boyne Writers Group. This takes place at 9pm, also in the Trim Castle Hotel. Admission: €5. A novel event (Pun! 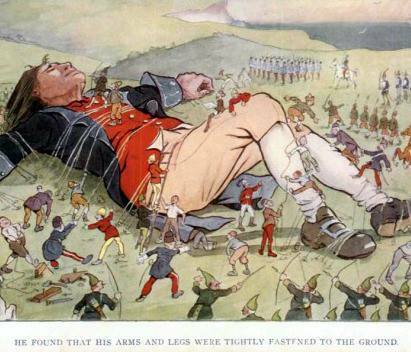 - Gulliver's Travels is usually considered to be a novel) is The Gulliver Gathering reading. All 302 pages of Jonathan Swift’s Gulliver’s Travels will be read by 302 people (one page per reader) in the biggest simultaneous reading event ever undertaken in Ireland. Places can be pre-booked on the website. This takes place on Saturday 5 July. Registration of readers from 11.30am on the day, and the reading will start at 1pm sharp. Venue: Trim Castle grounds (opposite Garda Station). Don't miss being part of this! Other events include: A Bite of Satire in the company of President Michael D. Higgins: Eneclann Genealogical Roadshow: Poetry in Motion: Project Swift – a spectacular projection of the life, travels and works of Jonathan Swift: Satire-Day Comedy Festival: Satire-Day Evening Show: Oliver Callan’s Satire Circus: The Swift Round Table with Barry Murphy, Alan Shortt and Very Special Guests: The Swift Tour. Paddy Smith and myself were asked to provide about 30 minutes of Irish poetry for a group of visitors to Trim and to Meath who were investigating their Irish roots as part of The Gathering. We came up with the following list which with short introductions actually went on for nearer 50 minutes. But no-one complained and the audience enjoyed the readings greatly. Paddy introduced the event, and then we took turns. We had quite a discussion as regards the composition of the list. Paddy, a former journalist, was strong on the entertainment aspect of the poems while I, the former teacher, wanted to include the important Irish poets. 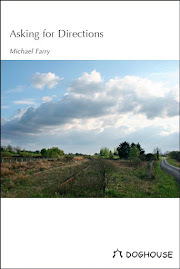 We made sure to include some Meath poets and I also thought it important that we read one in Irish. You can figure out which were Paddy's selection and which mine. 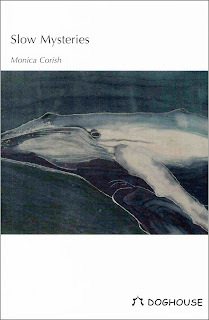 Poetry Press Workshops by fellow Doghouse poet, Monica Corish, in Kinlough, Co Leitrim. Saturday, June 29, 11 am - 6 pm. : A Day of Writing: Finding your Poem. Sunday, June 30, 10 am– 5 pm. : A Day of Manuscript Response: Strengthening your Poem. These two workshops, suitable for both beginner and more experienced writers, will be led by poet and AWA trained writing group leader Monica Corish. Participants may choose to attend either one workshop or both at a discounted price. More information about the workshops, including cost and accommodation details, can be found on Monica's website. Places are limited, so advance booking is essential. Monica Corish's poetry has been nominated for the Patrick Kavanagh and the Hennessy New Irish Writing Awards; she was the Featured Poet in the Spring 09 edition of The Stinging Fly; and she has received writing bursaries from the Arts Council, the Arts and Disability Forum, and Leitrim Arts Office. 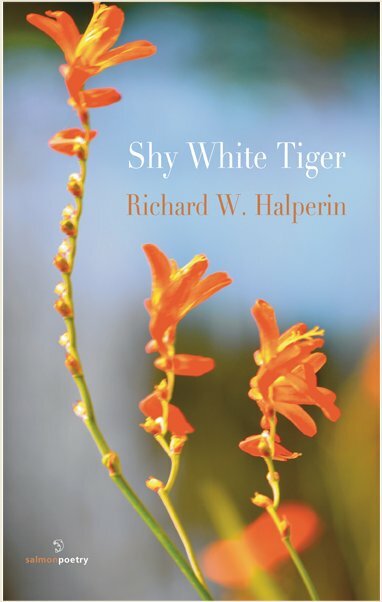 Her first collection of poetry, "Slow Mysteries", was published by Doghouse Books in June 2012. This year Yeats Day included the launch of a 10-day rescheduled and re-branded Craftfest Northwest festival honouring WB's sisters Susan and Elizabeth - affectionately named Lily and Lolly by her siblings. Susan (Lily) was a keen embroiderist. Elizabeth (Lolly) trained under the renowned artist and textile designer William Morris in London. She was an artist and the main inspiration for the Cuala Press which she ran with her sister. They printed the work of WB Yeats and many other well-known writers including Ezra Pound, Douglas Hyde, Rabindranath Tagore and Elizabeth Bowen. 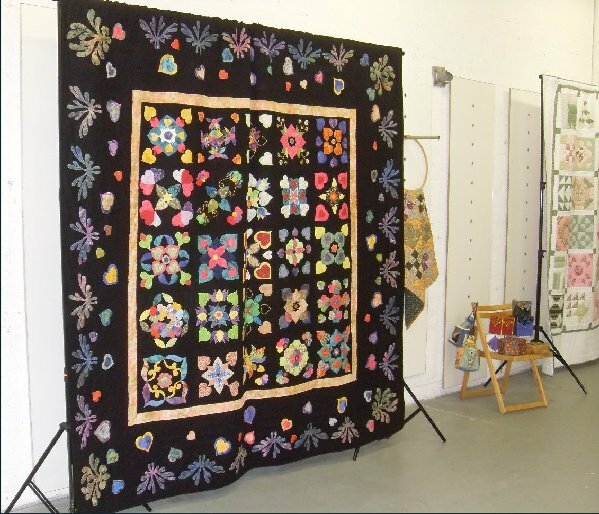 The LilyLolly Craftfest will build on the success in recent years of the Northwest Craftfest. 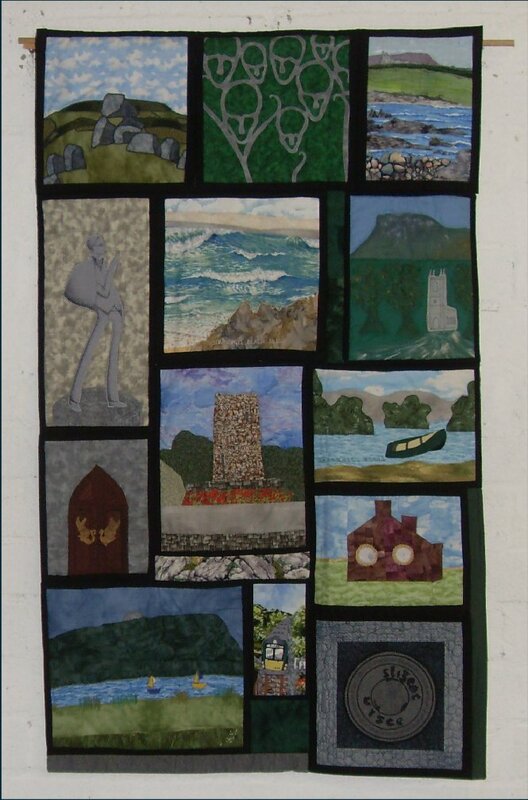 The rebranded and rescheduled festival - promoted by Made in Sligo craft workers group - will now be launched on Yeats day every year. I went along to see the exhibition of quilts suitable titled The Fascination of What's Difficult by the Yeats County Quilters. Wonderful work. 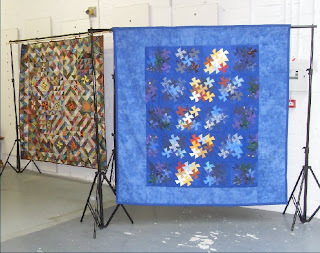 The top, smaller quilt, is a Sligo Heritage quilt of theirs. This Sunday, 16 June, is Fathers' Day in this part of the world. 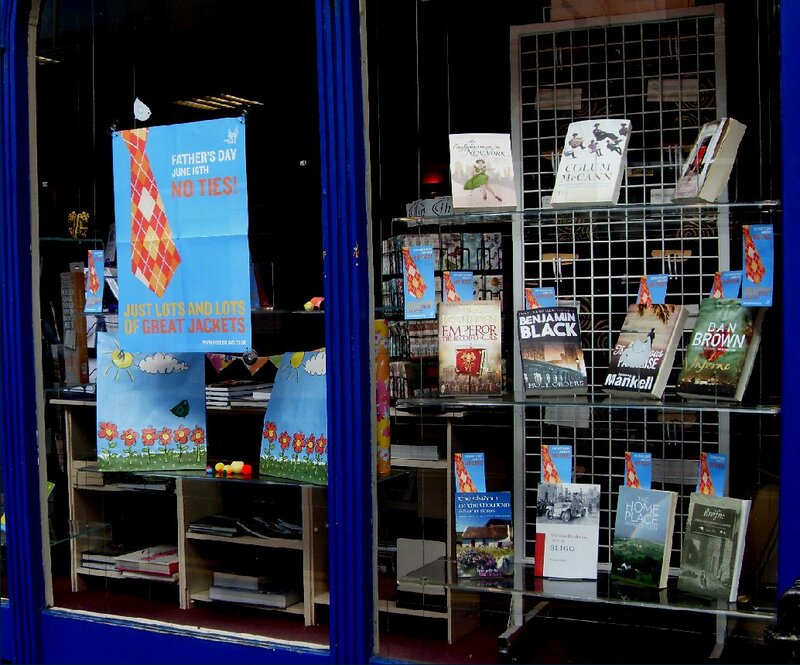 I spotted this nice display for Fathers' Day in Liber Bookshop, O'Connell St., Sligo on Thursday. "No ties, Just lots and lots of great Jackets"!! Indeed! and I was delighted to see my history book jacket in there among Dan Brown and Benjamin Black. This second Yeats Day in Sligo seems to have been a great success; a lot of people around the town, attending the various events and there were lots of events. I got to the Hilary Pyle talk on the Jack B Yeats exhibition, Enter the Clowns in the Model, the official launch of the Tread Softly Yeats Festival, the Happy Birthday Mr Yeats celebration in O'Connell St, the exhibition of Yeats’ work from The National Library, Sligo County Library and IT Sligo in the old Pollexfen building in Wine Street, the art installation at the Yeats statue at the old Ulster Bank, the quilt exhibition by Yeats County Quilters and I even read two poems at the Poetry Parlour in the Yeats Memorial Building. Top: The O'Connell St celebrations in the afternoon. 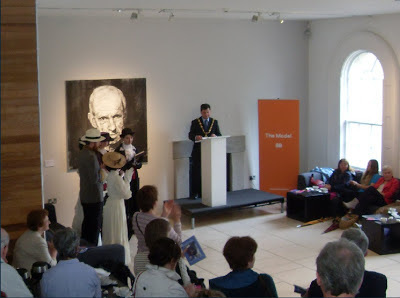 Above: The launch of the Tread Softly Festival by the Mayor of Sligo beside the new portrait of Jack B Yeats in the Model Art Gallety. 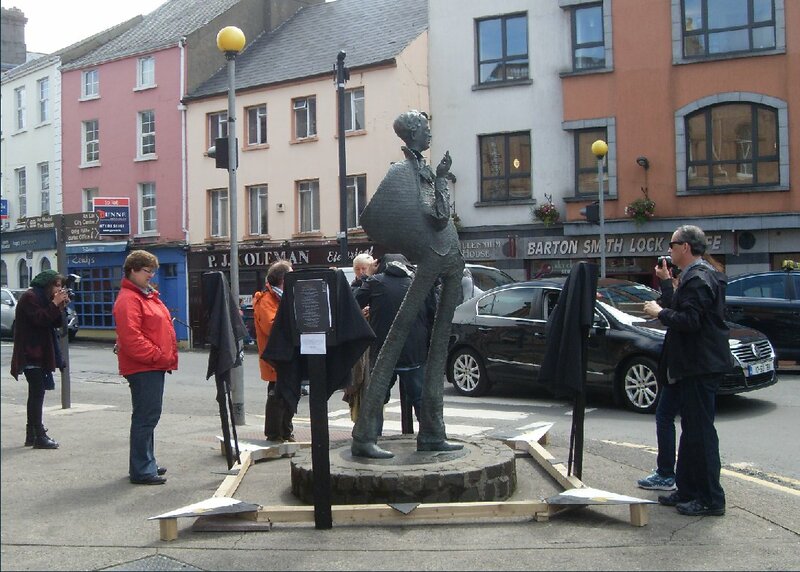 Below: The art installation at the Yeats statue by art students Hugh McGettigan and Ciara Finan. Four of his poem were printed on the stands. After reading each poem you were invited to go under the cloth and look at a photographic interpretation of the poem. Poetry, painting, song, craft and ... eh ... wine and sausages? 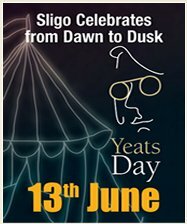 All will be on the menu for Sligo's second annual Yeats Day celebration throughout the town on Thursday June 13, birthday of Nobel Prize Winning poet W.B. Yeats. 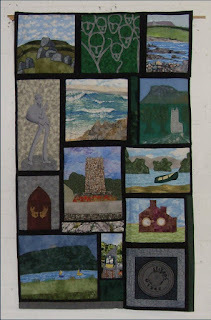 This year the day will be a dawn to dusk celebration not just of Sligo's Nobel Laureate and his works, but also of his brother Jack, one of the country's most significant painters of the last century, and his sisters Susan and Elizabeth- who made an enormous contribution to the Gaelic art and crafts revival in the early 20th century. 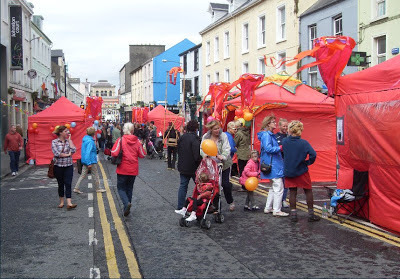 The highlight will be the birthday celebrations on O’Connell Street, Sligo from 3pm to 6pm with poetry, balloons, birthday cake and music. A sample below of the many events scheduled for the day. Full list on this page. 12.30pm Various venues: The Wine and Sausage Lunch - celebrate the Nobel Prize winning poet’s award as he did; a glass of wine and a sausage! Poetry Ireland are currently recruiting for a Director who, under the direction of the Board, will work with a dedicated team and will develop and lead the organisation towards its 40th anniversary. Poetry Ireland is the national organisation for poetry in Ireland, dedicated to developing, supporting and promoting poetry throughout Ireland. As the largest literary resource organisation in Ireland we deliver through four core strands: publications, readings, education (which involves writers of all genres) and the provision of an information and resource service, we seek to promote access and excellence by embracing and fostering poetry and language as tools for living. We are looking for a creative and strategic individual who has a deep knowledge, passion and concern for poetry and literature in general. Highly developed organisational, strategy, financial and management skills are required, alongside excellent communication and interpersonal skills. Salary will be commensurate with knowledge and experience. A detailed job description and further information are available to download from the Poetry Ireland website. Full details of the 2013 Swift Satire Festival, 4 July - 7 July, are on the website where you can also book tickets. Quite a number of changes in this year's programme. The Battle of the Books satire competition is going ahead but the time and day has been changed. The Swift Satire Festival Launch takes place at 8pm on Thursday 4 July in the Trim Castle Hotel. Admission is free, wine and canapés will be served and the launch will be followed by the first event of this year’s festival, the perennial favourite, The Battle of the Books. This annual satirical joust between our Boyne Writers Group and Meath Writers Circle will take place at 9pm in the Trim Castle Hotel, Admission: €5. Time to get the satire ideas down on paper, polish up the delivery, check the timings, decide the running order and hope for the best. Another novel event to look out for and maybe take part in is the simultaneous reading of Gulliver's Travels at 1pm on Saturday 6 July. All 302 pages of Jonathan Swift’s Gulliver’s Travels will be read by 302 people (one page per reader) in the biggest simultaneous reading event ever undertaken in Ireland. Places can be pre-booked on the special website page. Registration of readers from 11.30am on the day, and the reading will start at 1pm sharp. Venue: Trim Castle grounds (opposite Garda Station). Admission: Free. 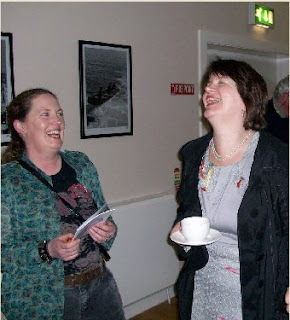 As well as being a member of Boyne Writers Group I'm also a member of LitLab which is a Cavan/Meath writers group which was started in 2006 by Meath and Cavan Arts Offices to mentor and encourage writers in the two counties. The group has prospered and meet fortnightly in Bailieborough. 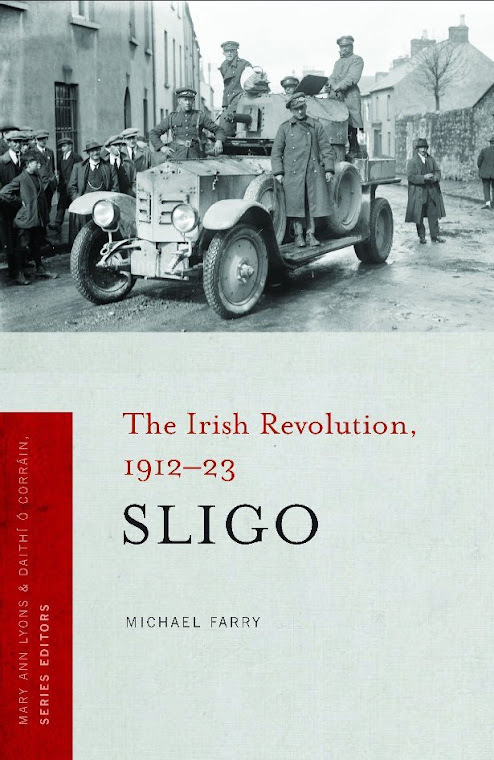 Over the last few years one member, Pat Devaney who has an impressive list of publications to his credit, brought for criticism some episodes of a series of his which was being published in a monthly Irish magazine. 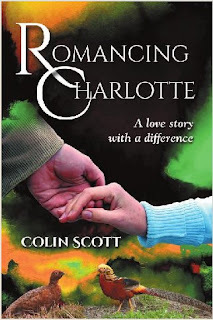 The serial has concluded and Pat has had it published as a novel under a pen name, Colin Scott. It is available as an e-book or paperback from Authorhouse and from Amazon. Set in Post-Celtic-Tiger Ireland, this novel follows the efforts of PJ, a returned Yank, to win the love of Charlotte, attractive English-born widow of Sir William Herbert and owner of the local Big House. Differences of religion and class would seem to doom the romance but the growing relationship between PJ's son and Charlotte's daughter and a shared interest in saving a local bog from illegal turf cutters dramatically alter the situation. 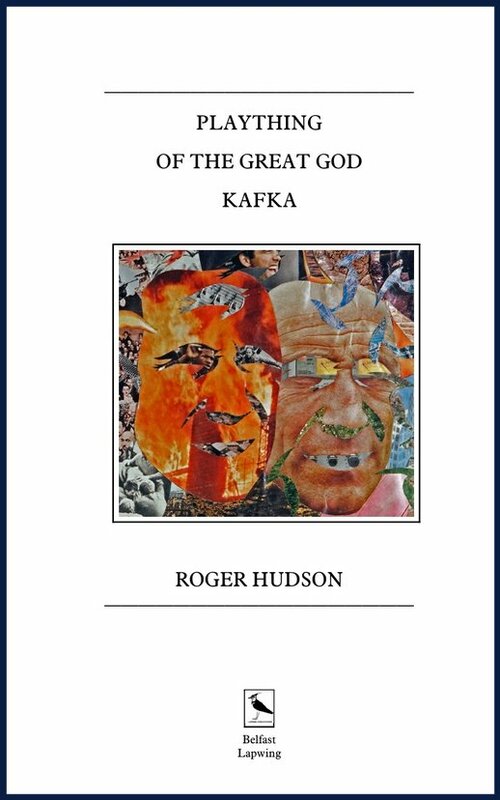 Poems that tell stories is a major feature of Roger Hudson’s new collection Plaything of the Great God Kafka (Lapwing Publications, Belfast) which will be receive its Dublin launch at Monday Echo, basement of International Bar, Wicklow Street, Dublin 1 at 7.00pm on 10 June. Roger has chosen Monday Echo to express his thanks to Dublin’s fringe venues and performance poets like Karl Parkinson, who launches the book, Stephen James Smith, Raven and others who showed him exciting ways to communicate his own poems. Since then he has gotten into performing with improvised music and in a group with multiple voices as well as performing solo, which should be reflected in the evening’s presentation. Lending support will be Anne Tannam, Steve Downes and other poets. 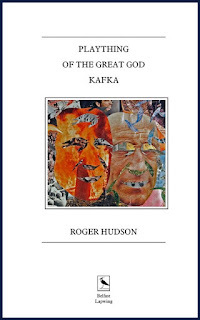 Roger promises that the poems will give a colourful view of the development over a lifetime of his often quirky worldview, assembling narratives of life incidents and social and political observations that range through Vietnam War atrocities, the Cuban missile crisis, puberty, propaganda, prejudice, prostate biopsy, the banking crisis and much more. Roger has lived in Dublin and Drogheda for some twenty years now. As leader of Drogheda Creative Writers, he has organised and hosted its awards, open mics, anthologies and slams, as well as working on his previous collections Lifescapes (in Side-Angles with Steve Downes) and Greybell Wood and Beyond, also with Lapwing, and his historical crime novel Death Comes by Amphora. He grew up in Surrey, England, and lived and worked in London and Dublin in various forms of writing, editing and film-making. All welcome. Supported by Create Louth. Signed copies available on the night at €10. Seating limited, so don’t be late. 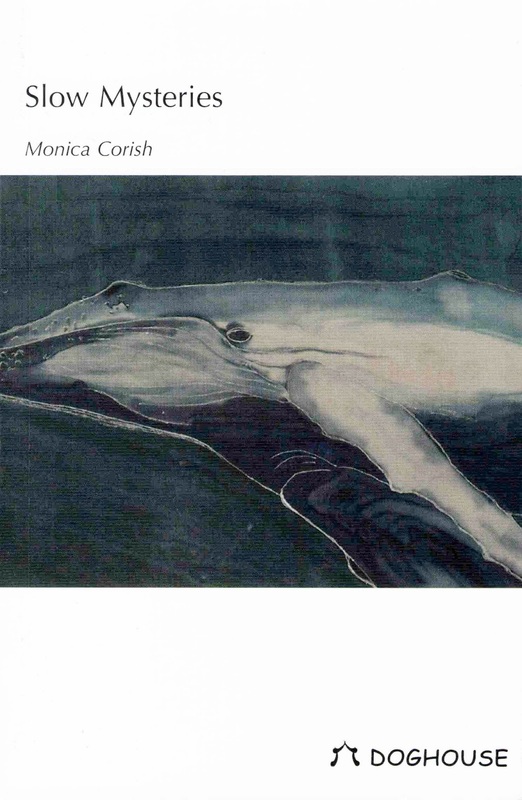 Salmon Poetry are launching four new poetry collections at the Irish Writers' Centre on next Thursday 6 June at 6.30pm. Quite a collection there! It should be a great evening of poetry. Each poet will read a selection. Visit the Salmon website to read more about each collection and/or purchase copies. On the other hand attend the launch and get a signed copy. Boyne Berries magazine is open for submissions until 13 July. We are delighted to have Kate Dempsey as our guest editor for this issue. Kate's poetry and fiction is widely published in Ireland and the UK including in Poetry Ireland Review, The Moth, Orbis and Magma. She won the 2011 Plough Poetry prize for a short poem and her first book of poetry, Some Poems, was published by Moth Editions, also in 2011. Picture: Kate with member Orla Fay at one of our Open Mics in 2010. We look forward to working with her and expect that the magazine will profit from her expertise and experience. Kate blogs here. We accept poetry and prose. Please check the submission guidelines carefully and follow them meticulously. The guidelines are here. I am always astonished at how heedless some people can be. We can all make mistakes but if a magazine asks for three poems why send four? If the line limit is 60 lines why send a 70-line poem? And if you are asked to send a brief biography why send a page listing your every publication credit? And please proof read your work very carefully before you send. The editor does not have time to check with you if the strange spelling in stanza three is a clever literary pun or a mistake. We get many more submissions than will fit in our little magazine so if you get a rejection don't take it personal. Send it off again to another magazine and send us something else next time. This will be Boyne Berries 14 and the provisional launch date is Thursday 26 September 2013 in Trim. 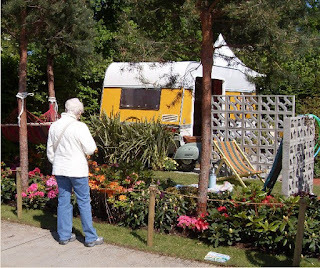 I went to visit Bloom, the gardening show, in the Phoenix Park for the first time on Thursday morning last and spent two hours there before the large crowds arrived. I enjoyed the show gardens especially, not as much artificiality as I had expected. 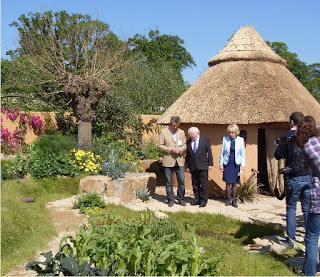 The Kerry Group / Concern Worldwide 1000 DAYS Garden. It won a Gold Medal and Best in Concept Garden Category. On Thursday the President was especially interested in this. The "water features" in this had a practical irrigation purpose. 'Past Times' - A 70s Retro Garden which won a Silver Medal. Remember those days! A Love Letter to The West. Ah yes! 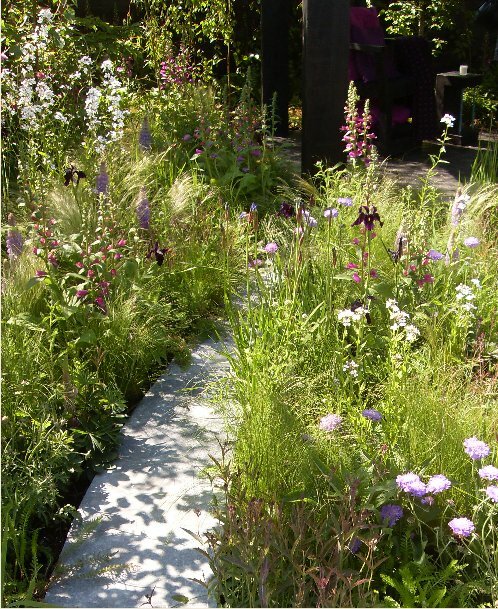 This Medium Garden was a Silver-Gilt Medal Winner. The designer lives and works in County Leitrim. The planting was wonderful here. Destination Bloom. A Concept Garden which was a Silver-Gilt Medal Winner. 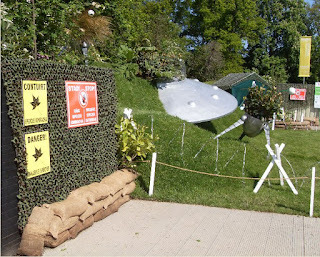 A crash-land garden with some of Irelands worst invasive culprits.